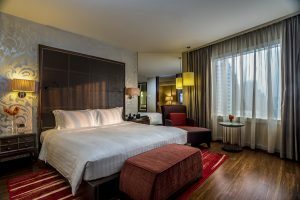 Pullman Bangkok Grande Sukhumvit is a Bangkok hotel for all kinds of global travellers. This Bangkok Hotel is located near Asoke Junction. This is the heart of Sukhumvit and the most vibrant city centre. With many lifestyle destinations and public transports nearby. Our convenient location near MRT Sukhumvit and BTS Asoke stations also enable easy access to throughout Bangkok. So, whether you are travelling for business or leisure, Pullman Bangkok Sukhumvit is always a perfect base for your city’s exploration. Experience Bangkok’s top attractions while you are staying at Pullman Bangkok Sukhumvit. Famous shopping malls like Terminal 21, The EmQuartier, and The Emporium are within walking distance from the hotel. Besides, the tourist attractions and cultural sites await you to explore while you’re here. Among the top places include the Erawan Shrine, the Grand Palace, Chinatown, Jim Thompson House, Soi Nana and more. Set in a sleek, sail-shaped building, Pullman Bangkok Grande Sukhumvit is an architectural landmark. From the lobby to the executive lounge, our contemporary and elegant interior design provides a warm and welcoming vibe. In one of our 325 guestrooms and suites is where you can work in comfort or just relax. Stylishly furnished, all rooms feature a large window for a city view and upscale amenities. Among those include wood floor, plush bed, spacious work desk, a bathroom with bathtub and Japanese washlet. Moreover, when staying at a Bangkok hotel, it should be effortless to find a perfect work-life balance. At Pullman, you can enjoy our wellness activities like a fully equipped fitness centre, swimming pool and a spa treatment. 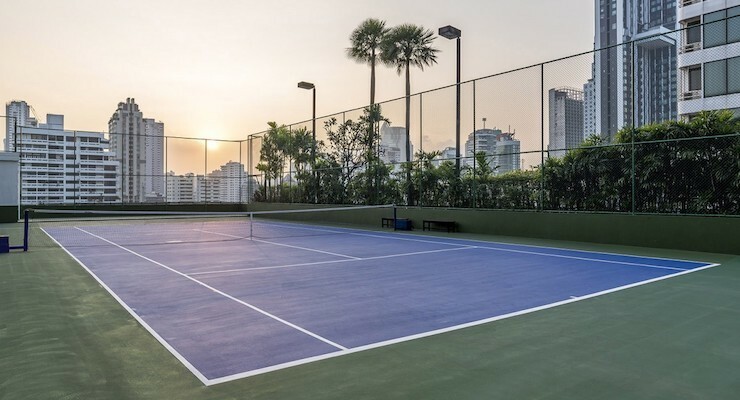 For those looking for outdoor fun, our tennis court and a morning boot camp are not to be missed! Besides, we understand that connectivity is essential, not an option. Thus, we provide free WiFi throughout the hotel for your convenience. So, go ahead; take advantage of this complimentary service and stay connected to the rest of the world. You can do emails, read the latest news or post photos on social media with hassle-free or stream Netflix and not miss your favourite show. Also, Pullman Bangkok Sukhumvit is one of the largest conferencing and banqueting hotel in inner-Bangkok. With 16 meeting rooms and a pillar-less Grande Ballroom, this Bangkok Hotel offers a perfect backdrop for your business events. Whether it’s a small meeting or a gala dinner, you can always rely on our professional services and creative catering. 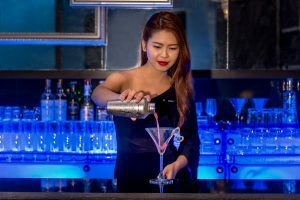 Asoke is always Bangkok’s dining hotspot and home to many famous restaurants, posh bars and cafes. 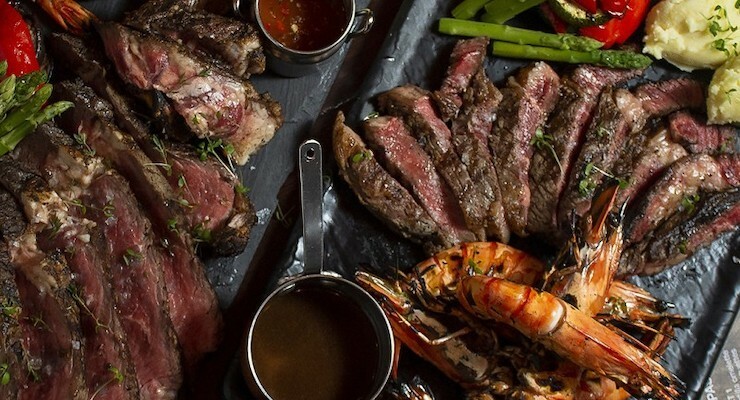 With a stay at Pullman Bangkok Grande Sukhumvit, you will be spoiled by a rich selection for eateries. From on-site to outside, from local delights to international flavours – the choice is yours! At our lobby level, you will find InBlu bar providing both backyard-style bar and lounge. This is a great place to hang out after work where tasty drinks and live music await. Meanwhile, FlourWorx is a go-to place for a selection of handcrafted coffee and light meals. It’s also an ideal co-working meeting space for small gatherings. For a fun dining experience, Tapas Vino takes on a sharing concept perfect for friends and family gatherings. This restaurant also makes a great place for an intimate night out for two. If you want to savour seafood and local delights, Atelier restaurant is the place to be. This is where seafood dinner buffets, Sunday brunch and international cuisines are served day and night. Our world is your playground. Global travellers, whether you’re travelling for business or leisure trips, Pullman Bangkok Grande Sukhumvit is always the perfect Bangkok Hotel for you. It’s a great time to explore Bangkok and when you book direct on our website 21 days or more in advance you can receive up to 20% off the best available rate of the day, 365 days of the year with our Advance Saver Offer!